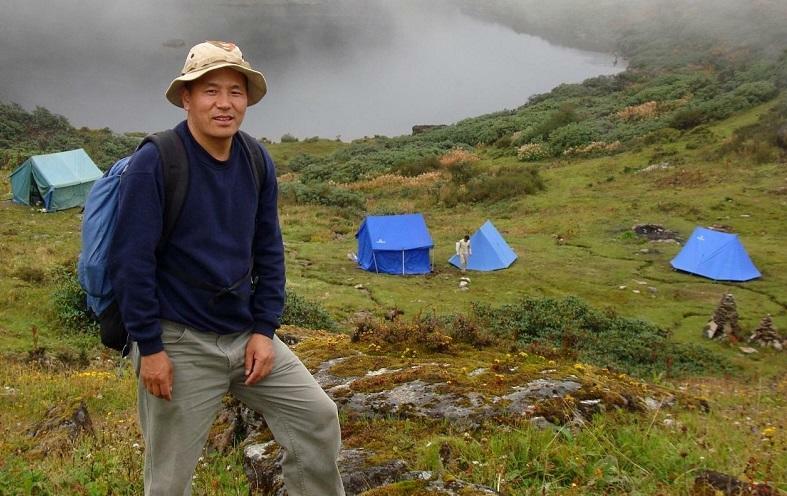 This interview with Karma Tshering of Bhutan is part of a special series featuring board members of the recently founded Asian Ecotourism Network. A sustainability and resource management expert, Karma introduces us to his projects and research in Bhutan, how tourism affects the country’s Gross National Happiness, and how the practice of “high value, low volume” has shaped Bhutan’s tourism policy. How incentive based conservation works. Karma, you started your career in sustainable tourism as a National Coordinator for the Tiger Conservation Project – can you describe this project and what you learned from this role? Bhutan, though a developing country, has given top priority to the conservation of the natural environment. The Tiger Conservation Project was initiated in 1995 with the support of WWF as the country’s first species specific project. As a young conservationist, I felt privileged to be given the opportunity to be the National Coordinator for the project. Being passionate and curious to learn, this role provided the perfect platform for me to be out in the field to gain experience and insights in conservation. To protect the tiger meant we first needed to know where exactly there were tigers in our country, since a scientific census had never been conducted. Due to the rugged terrain of the country, many of the survey techniques used in the foothills and grasslands of India and Nepal did not seem easily applicable in our country. We had to rely on interviewing local communities as our major source of gathering data. Along with the technical assistance of a renowned tiger expert, within two years, the project made commendable progress. GIS mapping showing the presence and absence of tigers within the country was produced for the first time. 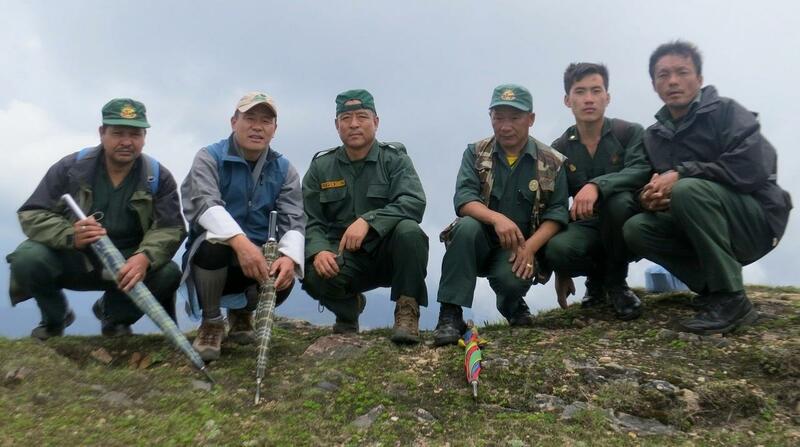 Baseline surveys were established and a tiger conservation strategy for Bhutan was developed. The major findings of the surveys showed that the tigers occupied habitats beyond the protected areas. This prompted the government to take a landscape approach to conservation through the declaration of several biological corridors that connected the protected areas of Bhutan. While all these were significant achievements for conservation in Bhutan, I realized through interacting with local communities that saving the tiger required a greater focus on people. The Tiger Project affirmed my belief that people are at the center of conservation, and hence their support and cooperation is critical to development. 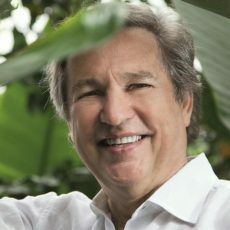 I have been a firm advocate of a people-centered approach for conservation ever since. You completed your Masters in Resource Management and obtained your Doctorate looking at community-based tourism as a positive force for the protected areas of Bhutan. What were the main insights for you personally? Bhutan has declared an extensive network of protected areas, covering almost half the size of the nation’s land (among the highest proportions in any country). The responsibility for its management within the government was entrusted to the Nature Conservation Division, the office I was working for. At the time, protected area management was relatively new in my country. I consider myself lucky to have been given the opportunity to become, almost from its inception, a member of a group of protected area professionals who grew with that vision. 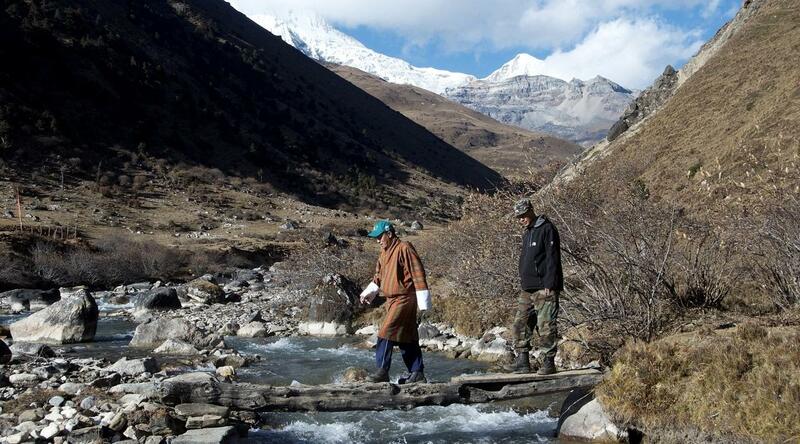 Unlike many other countries, Bhutan’s conservation policy allows people to reside within the protected areas. This circumstance demanded an integrated approach to conservation and development. Since most of the conservation programs were donor funded, they lacked sustainability. The people’s interest in conservation activities were short-term. Therefore, identifying projects that ensured long-term commitment and benefits to both people and conservation were essential. That’s when my attention was drawn to tourism. Through my research I was able to demonstrate that sustainable tourism development is a viable option to stimulate the support of the public for biodiversity conservation and cultural preservation, and that such development is necessary for the sustainability of the protected areas in Bhutan. It was evident that if planned and implemented in consultation with the local people and other relevant partners, tourism has the potential to offer a symbiotic relationship in promoting socio-economic development, cultural preservation and biodiversity conservation. 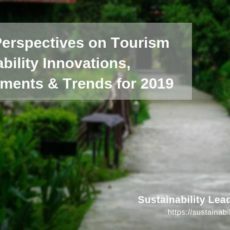 Tourism is not a single sector responsibility – as it used to be perceived by people in my country – but a multi-dimensional concept which requires constant communications, collaboration, and partnerships. Conservation of the environment is one of the four pillars of Bhutan’s Gross National Happiness philosophy. To what extent does tourism in the country currently act as positive force for conservation and happiness? The four pillars to the vision of happiness, in addition to the conservation of the natural environment, are: the preservation of the cultural heritage, equitable socio-economic development, and good governance. While the country seeks to focus development based on each of the happiness pillars, in my view we cannot focus on each pillar in isolation but will need an integrated approach that combines all four pillars. It is important to identify programs that can successfully combine all the pillars, resulting in an overall positive impact. Tourism has the prospect to provide this critical link. Especially for my country with limited potential for industrialization, but with a unique culture and an intact natural environment, the capacity of tourism as a major force for its development is apparent. There are several examples around the world where tourism is becoming the driving force for conservation. Likewise, here in Bhutan, tourism has made substantial contribution to conservation and happiness. The stringent conservation policies weigh heavily on the local people living in and around the forests and parks with increased wildlife predation impacting their subsistence livelihood. This problem has been alleviated through seed funding established for livestock compensation established through tourism, other interventions and promoting of community based tourism to provide supplementary income. 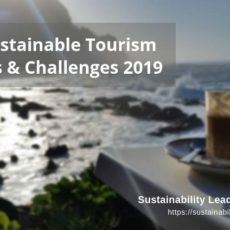 Sustainable tourism development is able to generate positive benefits for conservation of the cultural and natural heritage while offering socio-economic benefits to the local people. This symbiosis contributes to happiness. Can you explain the idea behind ‘incentive based conservation’ as a practical approach to safeguarding nature? I am sure many of us would agree that human motivation to a large extent is incentive driven. Incentives can come in a couple forms: either direct or indirect. Likewise, an incentive-based approach to conservation to me is the most logical and practical to fulfilling conservation needs. It is only natural that people become more encouraged to participate in conservation if they see some benefits for themselves. Economic benefits are no doubt attractive, but there are also far-reaching benefits for people’s appreciation towards conservation through nature recreational activities. I had the opportunity to demonstrate this in Bhutan by starting nature recreational programs. I realized that although we had an extensive network of parks and protected areas in Bhutan, it lacked public interest in its appreciation and consequently its support. Incentivizing through responsible enjoyment to me is a sustainable approach. I played a key role in advocating the establishment of a Division within the Department of Forests and Parks that was specifically mandated to promote nature recreation and ecotourism programs within the forests and parks of Bhutan. The Division, since its establishment in 2011, has created several nature recreational areas and programs for the public. This has led to an increased understanding and appreciation of natural areas, resulting in increased public support for conservation. People are a vital link to nature conservation and strengthening this link is fundamental to achieving the conservation objectives. A conservation policy that engages people’s participation through an incentive approach has the prospects of delivering positive benefits for people and nature. In a world that is threatened with climate change, Bhutan is one of the few countries that have achieved carbon neutrality. What lessons from Bhutan might serve other tourism destinations around the world? The state of the natural environment is one of the most important attributes for developing sustainable tourism. Bhutan is fortunate that the stringent conservation policies within a largely subsistence farming community have led to an intact natural environment consisting of over 72% of the country under forest cover. While quick monetary benefits from forests have lured many countries to indiscriminately log large areas, Bhutan on the contrary, under the visionary leadership of the 4th King was not tempted towards these short-term gains. Instead, the forests were conserved and nurtured like the goose that lays the golden eggs for the future economy of Bhutan. The Bhutanese people now enjoy that future. The pristine state of the natural environment has generated substantial revenue from clean energy production through hydro power and enhanced opportunities for tourism. Bhutan has demonstrated to the outside world that supporting conservation is not only about fulfilling the ecological need, but an economic investment endowed with long-term benefits. Hopefully, many countries are encouraged and will learn from Bhutan and pledge their commitment to follow this path. Travelers are increasingly seeking destinations that are more natural. The authentic cultural and natural landscape of Bhutan has branded Bhutan as one of the top tourist destinations. With the unique opportunity to be one of the pioneers for ecotourism development in Bhutan, I am currently laying the foundations to establish an ecotourism society for Bhutan. I welcome any ideas and suggestions. I am happy to make any contributions for the promotion of sustainable tourism development. Connect with Karma Tshering on LinkedIn. Enjoyed our interview with Karma Tshering on sustainable tourism development in Bhutan? Share and spread the word!